Hi, my husband and I have I-485 pending. 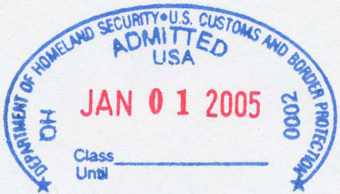 It’s the adjustment of status application, it’s been approved, however, we are waiting for the date to become current to receive Green Cards. He also has an EAD. We both have I-131 Travel Documents to be able to return to the US. We have Russian and Indian passports. Do we need to have Canadian Visas if we want to go to Niagra Falls for a couple of days and visit friends in Toronto? Will we be treated as “greencard holders” or as citizens of Russia and India for the purpose of entering Canada? Thank you. I am an asylee (nationality Russian) and I hold US Travel Document (issued by USCIS and valid for one year). I will be applying for a green card next year but as of now i have no proof of permanent residency except asylum grant letter from Immigration Judge. My question is: do i need to have a visa to be able to travel in Canada? If not, what documents do I need to show on the border? If you’re an asylee and applying for permanent resident status next year, you have to remain in the U.S for one whole year. So don’t travel outside U.S.A. 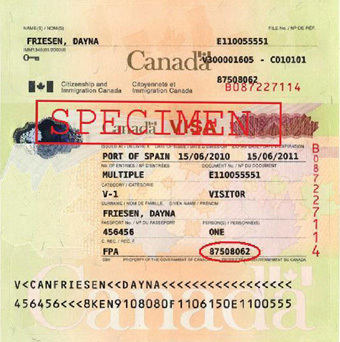 I want to visit canada, but my passport expired 8month already, is my u.s. permanent resident(green card) enough or do i need another document to show in the boarder? Thank you for your update. It’s really helpful. 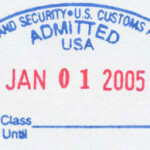 However, if I traveled from another country other than the USA, for instance, China, even though the authority says that “if you are a holder of US green card and you only need a passport and green card to get into the country…”, would that be possible that a certain boarder service officer still ask me for a canada visa otherwise would not let me pass? Well, the border officials have the final say to either grand you admission or deny it. Even if you have the proper visa (in addition to your green card and passport), it is still “possible” that they wouldn’t let you in. The question is what are the chances. Unless there is a specific reason to be concerned, I personally wouldn’t worry about it. I would probably print out the official document and carry it with me just in case. I’m Russian citizen, however I’m US green card holder. Please advise if I do require visa to Canada. I am a Saudi citizen with permanent resident status in the US. My green card is expired but I have (I797). Can I enter Canada? Or should I apply for a visa? Can I travel to canada by greyhound bus if I have a valid green card but my passport is expired? If yes ,am I going to have trouble with the US border to come back to United States? iam a us permanent residenc,iam a refugee from nepal and i have green card.i want to fly canada for few weeks.what i need to fly canada.? I just got married here last year and i got my conditinal greencard. can i travel to canada with my conditional GC? but my passport phillippines is not same on my greencard last name. what should i do? pls help! My mom is a US permanent resident, she’s planning to visit my sister in Canada. How long can she stay to Canada? Hi, I am green card holder and have valid passport from India. Can I fly directly to Canada without visa? My parents are holder of a US Permanent Visa which is valid until 2025. But they are NO longer residing in US, they’re now living in the Philippines and are not planning to go back to USA very soon as they enjoy most their senior life here in the Philippines. My parents, plans to visit my brother to Canada. Do they need to secure a Canadian Visa if they want to travel to Canada as tourist? I have a friend who is a US resident but doesn’t have the green card physically (unable to locate it) what other envídence can we demostrate to show proof? I am a Canadian Citizen but have been living in the U.S. for several years (am a Permanent Resident). My question is: Are there any rules about how long I can stay in Canada (snowbird status?) before returning to the U.S.? Why can greencard holders enter the Canada but permanent residents of Canada can’t enter the US? As I understand both are just permanent residents of each country, so why is it more restricted for Canadian permanent residents? I’m a permanent residence of the USA and would like to know if I need to complete an eAT application form to enter Canada?